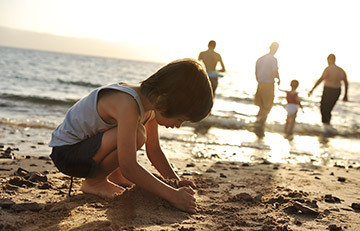 Take a break and enjoy Lake Macquarie! 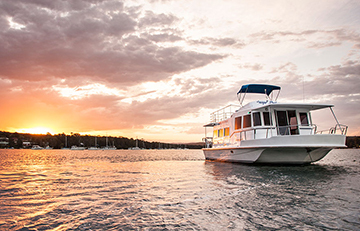 Lake Macquarie Houseboats was first launched in 2001 on Lake Macquarie in Toronto and has been operating successfully ever since with thousands of happy holiday makers. 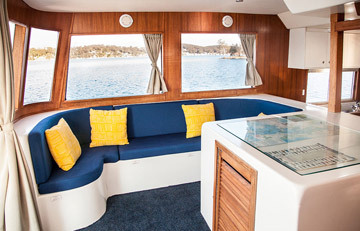 The current owners David and Leigh-Anne Amos have been in the houseboat business since 2008, running Lake Macquarie Luxury Houseboats with Kestrel, a 33 foot 6 berth Vickers; and Scarborough, a 45 foot 10 berth Coher. In September 2015, they purchased Lake Macquarie Houseboats with Sugar Bayb, another 45 foot 10 berth Coher, and amalgamated the two businesses! "Our main goal is giving you the customer, the best houseboating experience possible". We offer secure parking for your cars so you don't have to worry about them at a public car park all around the lake. We offer you moorings to make sure you don't drag anchor overnight, giving you a good night's sleep. All hires include a tender WITH an outboard at no charge. All bed linen is supplied, with beds made ready, because you're on holidays! All of the boats are constantly being maintained & upgraded, including new motors, gas hot water, refrigerators, carpets & bedding in 2016.